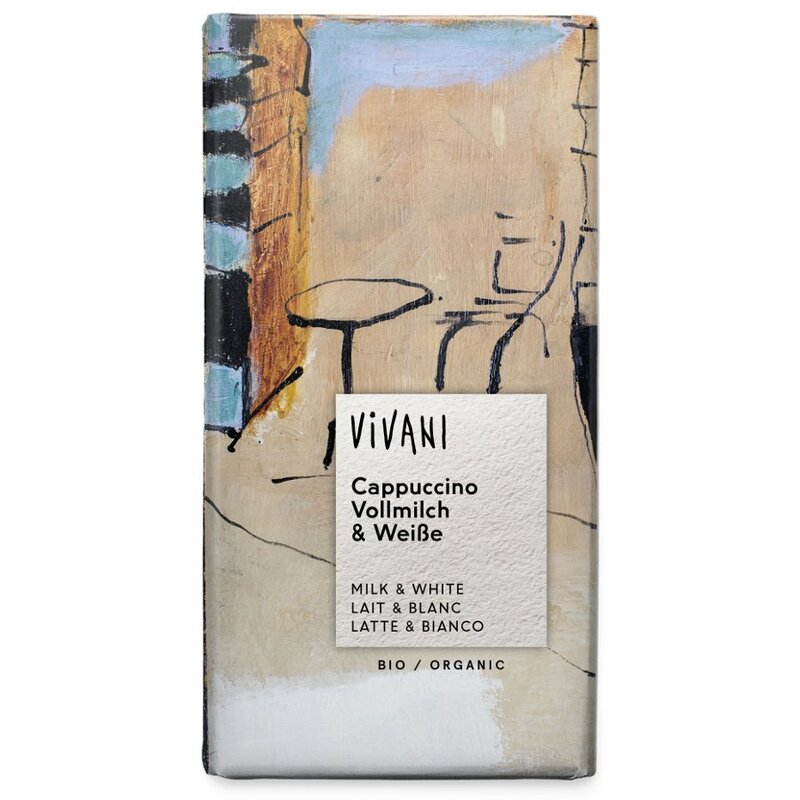 The two-tier composition of creamy white and milk chocolate melts in the mouth releasing the refined taste of espresso coffee. The ingredients are 100% organically grown in natural habitats in Central and South America. Raw cane sugar*, cocoa butter*, whole milk powder*, cocoa mass*, cream powder*, coffee* 2.5 %, skimmed milk powder*, whey powder*, bourbon vanilla extract*. Cocoa solids: 40 % minimum. Milk solids: 15 %. 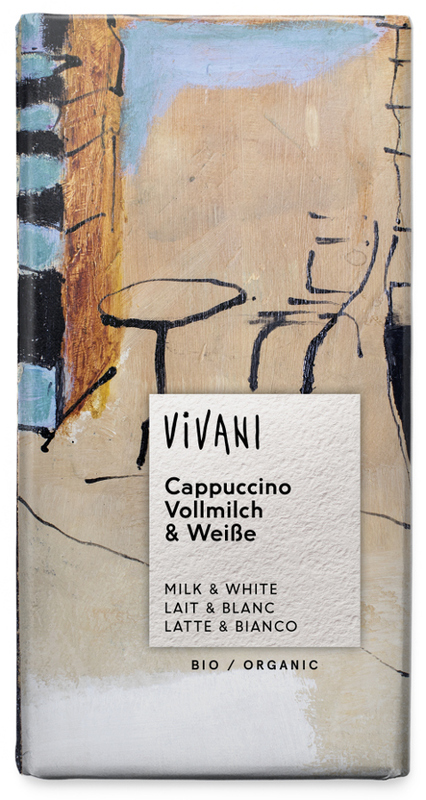 There are currently no questions to display about Vivani Organic Milk & White Cappuccino Chocolate - 100g.